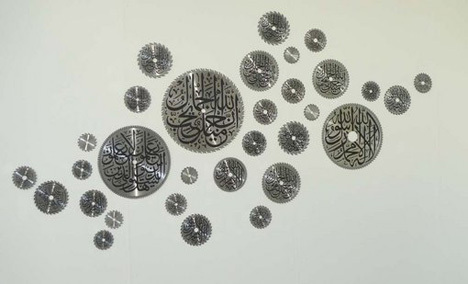 Paradise Row, in collaboration with Khaled Al Fahim present the work of Shezad Dawood, Mounir Fatmi and Douglas White at Abu Dhabi Art Fair 2009. Mounir Fatmi (Morocco, b.1970) and Shezad Dawood (U.K. b.1974) are two artists who each employ their own distinctive strategies to engage with the subject of how strands of meaning and cultural forms evolve and mutate as they flow through and into different cultural contexts. Fatmi presents two major works: The Machinery (2009) and Les Monuments (2008). Shezad Dawood presents works from his 99 Names of God series. In the Signature section, young British artist Douglas White (U.K. b.1977) presents an installation created in Abu Dhabi using local materials.